Canadians spoke loud and clear. They want a strong, collaborative national housing strategy to facilitate housing for those most in need, address the unique challenges facing indigenous peoples, eliminate homelessness, make housing more affordable and improve data collection, analysis and research. These are among the central themes summarized in What We Heard, the federal government's report, tabled Nov. 22 after months of consultations with the provinces and territories, industry experts and everyday Canadians as part of the Let's Talk Housing initiative. Whether Ottawa can deliver on this complex wish list as it works toward a national housing strategy, to be released next year, remains to be seen. The issues are varied and challenging, involving differing provincial and regional economies, housing markets and conditions, from affordable housing to rental markets to homeownership. On National Housing Day Nov. 22, Jean-Yves Duclos, Minister of Families, Children and Social Development and Minister Responsible for Canada Mortgage and Housing Corp. (CMHC), and CMHC President and CEO Evan Sidall, released What We Heard via a press conference on Facebook Live. 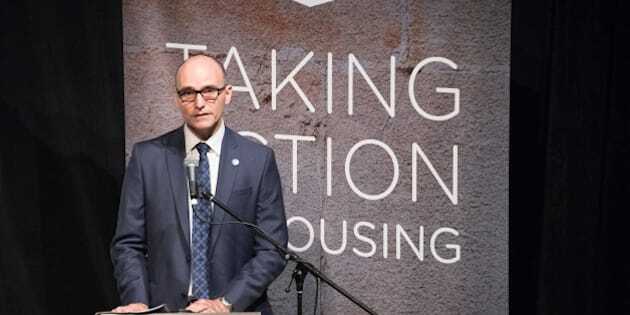 "Ensuring that Canadians have access to affordable housing, with all of the socio-economic benefits that come with it, is a key priority for the government of Canada," says Duclos. "The input and ideas we received from Canadians will be invaluable in helping to shape a national housing strategy that delivers better housing, socio-economic and environmental outcomes for all Canadians." The report takes stock of the consultations, identifies emerging themes and highlights exciting ideas to help define the future of housing in Canada. It's early days yet, but judging from What We Heard, one area that is likely to be addressed is low income and affordable housing. "The hard work continues," the report says. "Needless to say, broad consultations indulge peoples' expectations, as they should. However, policy makers must balance these against fiscal constraints. Our objective will be to develop a (National Housing Strategy) that employs finite government funds to maximum effect, yielding the best outcomes. Duclos says the hope is that CMHC will likely play an increased role in providing better information and bridging the data and research gaps. "In the following months, we will continue to consider your suggestions and innovative solutions that a national housing strategy may include and to explore ways to work with our partners and stakeholders to bring it to action. We will work with our partners on a housing strategy that is national in nature but that recognizes regional housing conditions." This latter point is critical, according to Shawn Zigelstein, agent at Royal LePage Your Community Realty, Richmond Hill, Ont. "Consultation and dedication is the key to successful implementation, and by using all of the data compiled by real estate boards, economists and builders, the focus of such a policy can be useful, consistent and well thought out," Zigelstein told YPNextHome. "With this in mind, it is imperative that the government consult industry experts, as well as stakeholders from across the nation -- not just from hotter markets like Vancouver and Toronto -- about the viability and effectiveness of any proposal put forward." As for affordable housing, Zigelstein suggests some of the funds collected through Land Transfer Taxes and non-residency taxes be put it towards programs to help those in need. First-time buyers should also be a priority with any strategy. "In some regions across the country, first-time homebuyers are able to purchase property with a 'traditional' amount of savings," he says. "However, in larger urban areas, it is very difficult for many to come up with the necessary financing based on the new mortgage regulations. While everyone likes to be overly cautious, and plan for the worst, it would be interesting to see the number of first-time buyers defaulting on mortgage payments. Not only would this demonstrate the effect of newly imposed policies, but if the rate is low, it would show that further restrictions and requirements for funding may not be needed. These would serve only to create roadblocks for young people seeking their first home, and negatively impact the market over the long term."